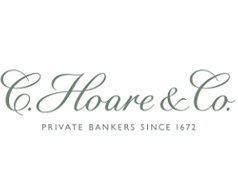 Founded in 1672, C. Hoare & Co., one of the oldest banks in the world, remains wholly owned by the Hoare family. 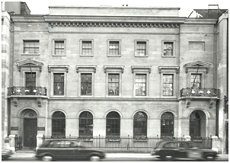 It continues to be led by the descendants of the bank’s founder, Sir Richard Hoare, and has no allegiance to any other institution. Management of the bank has passed through many family members’ hands over the years.  Currently there are seven family Partners from the tenth and eleventh generations headed by Managing Partner Alexander Hoare. Each carries unlimited liability for the bank’s business. Prudence, attention to detail, longevity, family involvement, and generational overlap remain key factors to perpetuating a profitable family business. Today the bank is a thoroughly modern institution. The family is backed by a board with external members and CEO who bring new perspectives and external experiences to its management. With time honoured values supported by modern technology, C. Hoare & Co. aims to provide an intelligent personal service based on relationships built up over many years between the customer and the bank. C. Hoare & Co. provides a wide variety of customers with a range of services that have evolved to keep up with changing needs: loans, foreign exchange and treasury services, wealth management, financial planning, investments, tax services and trust administration. The bank's customer base is broad, ranging from owners of landed estates to entrepreneurs and professional individuals, partnerships, owner-managed businesses, family offices and charities. In each case, C.Hoare & Co. aims to build long-standing relationships based on mutual respect and an understanding of each customer’s overall needs. C. Hoare & Co. has a simple ethos: to treat customers as it would wish to be treated. This approach gives rise to characteristics not always found elsewhere such as integrity, care and good sense, together with fast, flexible decision making. The bank, since its foundation, has been much involved with the charitable sector and many of its Partners have been active philanthropists. Today, the Golden Bottle Trust, set up in 1985, supports projects relating to the arts, education, health, environmental sustainability and social investment. More recently, C. Hoare & Co. was the first bank in the UK to establish a donor advised fund, the Master Charitable Trust, designed to provide an easy, cost effective and tax efficient way for customers to support charities of their choice. After a seven year apprenticeship, Richard Hoare was made a freeman of the Worshipful Company of Goldsmiths. The following year he bought his former master’s business and soon built up a sizeable trade as a goldsmith banker. His offices were in Cheapside at the sign of the Golden Bottle and this insignia is still in use today. 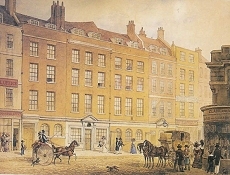 Richard moved his business to new premises on Fleet Street in the City of London a site Hoare’s bank still occupies today. Richard’s son ‘Good*’ Henry became a Partner. Richard, who was knighted by Queen Anne and later served as Lord Mayor of London, died in 1719. After Richard’s death, Henry ran the bank alongside younger brother Benjamin. Good Henry bought the Stourhead estate in Wiltshire, establishing the Hoare family as country gentlemen. Speculation on the ‘South Sea Bubble’ allowed the bank’s Partners to generate considerable profits for themselves and for many of their customers. Henry’s son, Henry ‘The Magnificent’ became a partner at the age of only 19 and remained one until his death 60 years later. Much of his leisure time was dedicated to Stourhead, and in particular to the creation of its famous gardens, now one of the National Trust’s most visited attractions. The senior clerk, Christopher Arnold, became the first of only three non-family Partners in the bank’s history. Henry the Magnificent’s brother Sir Richard was made Partner and knighted in 1745 at the age of just 30. He was responsible for defending London during the second Jacobite uprising. Sadly he died 14 years later. The bank issued its first printed cheque. Henry ‘of Mitcham’ was made a Partner. Initially not expected to live long, he went on to dominate the bank for the next 50 years. His strictmanagement of the bank’s affairs during the unsteady period of the American and Continental Wars saw deposits treble. Charles Hoare commissioned Luscombe Castle and gardens in South Devon, a house in which Sir David Hoare and his son Simon continue to live. Charles was one of the founders of the I.C.B.S which financed the building of 880 Anglican churches between 1815 and 1850. His Christian name is the origin of the ‘C’ of C. Hoare & Co. The present bank building was started and completed just 15 months later. Built to designs by Charles Parker, its cost (excluding fittings) was £21,000. 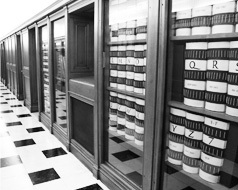 By this date the bank was also issuing chequebooks and washing books, the forerunner of statements. Peter ‘of Luscombe’ and Henry ‘of Staplehurst’ entered into a new partnership agreement. Brothers in law by marriage, their 14 year partnership suffered from the profound differences in their religious views. The sons of both Henry and Peter burdened the business with debt and scandal during the 1860s. The Partners converted the bank into a private unlimited liability company, the legal form of the bank today. On the outbreak of World War Two most of the bank’s staff were evacuated to a family house Ovington Park in Hampshire. In May 1941, the Fleet Street premises were bombed. The resulting fires were bravely extinguished by the household staff, led by Bertram Hoare, using water from the bank’s artesian well. Henry ‘Cadogan’ became the first of the 10th generation of partners. Deposits had climbed to £9 million and staff levels stood at just over 100. The first bankwide computer system was installed. Venetia Hoare became the first female Partner. 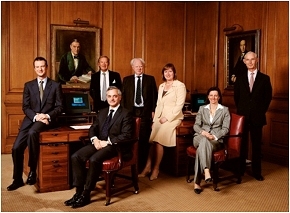 The bank appointed its first non-family Chairman. Lending over £1.1bn, assets under management over £1.5bn, deposits over £2.5bn.